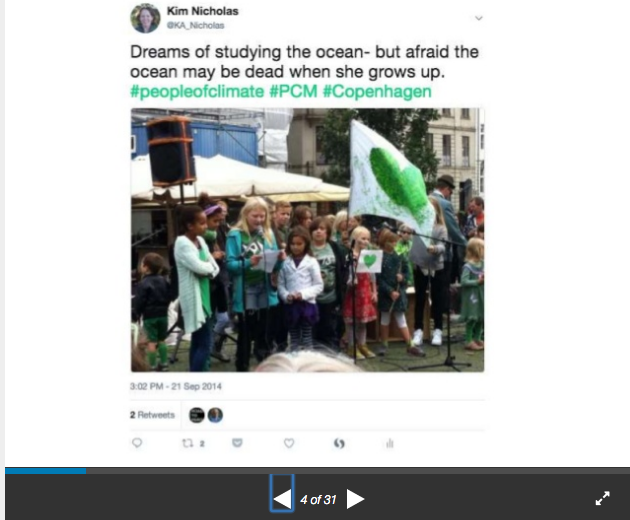 I enjoy speaking about climate solutions, sustainable food systems, wine, education, and more, in formats ranging from a puppet show to lectures of 5-60 minutes. Recent audiences have included 500 software developers, and groups of local drink producers, museum visitors, and students (elementary, high school, university and beyond). ​Please get in touch if you'd like to request a speaking engagement. Voted best keynote of the Öredev conference, November 2017, by 500 technology thought leaders. "What is lost and what is gained as we rise from the carbon ruins?" Food & Climate Change – Emissions and Opportunities for a climate positive agriculture? "Effekter av styrmedel och åtgärder för minskad klimatpåverkan från konsumtion." En del av Hållbarhetsveckan seminarium: "Hur kan Skånes kommuner arbeta för hållbar konsumtion?" "Higher education, lower emissions: Academics flying less." Keynote: "Growing and enjoying wine in a changing climate"
"Innovations and progress in flying less"
"Flying Less Update: Progress in reducing academic flying"
"How can we fix climate change?" "Visions and Pathways to 1.5°C"
Deltagare i paneldiskution med Gudrun Schyman, Carl Schylter, Pella Thiel. "Facts, Feelings, and Sacred Cows"
"Klimatet i formen mellan konst och vetenskap"
"What can one person do about climate change?" "Who should do what to solve climate change?" "Attracting and retaining international researchers in Scandinavia." Nordic Brain Gain conference, Lund University. "Quantifying the carbon space and time to avoid dangerous climate change." Institute for Futures Studies Climate Ethics Kickoff. "The past, present, and future of climate change and wine: Global and local opportunities and challenges"
Contemplating Children in the Age of Climate Change. A conversation with Kimberly Nicholas, following the preview of the play "No Kids" by Theater Ad Infinitum. Oxford, England. "Sharing and celebrating academic failures." "A new climate for wine." Presentation to local wine and drink producers, regional tour and study visit hosted by Småk på Skåne. "Climate change in three acts"
A puppet show with Becky Chaplin-Kramer. "Individual actions and climate change." "What about the environment in the Swedish elections?" Panel discussion & Q&A. Edens Hörsal, Lund University. More info. "Individual choices and sustainable development." The Long View, LTH, Lund University. Room 567 IKDC. Ett samtal mellan klimatforskare om berättelsen, bilden och myten om klimatet med utgångspunkt i Bigert & Bergströms pågående utställning The Weather War. "From Population to A Child: Personalizing Future Generations and Climate Change." Institute for Future Studies, Stockholm. "What can kids do about climate change?" We led a Workshop for 29 entrepreneurs in the Swedish Somali Business Program on how to incorporate the UN Sustainable Development Goals in their business planning.